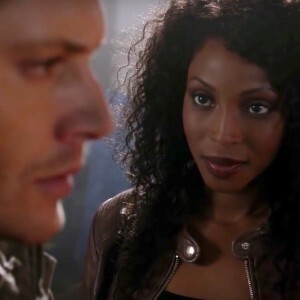 One of the highlights of the Supernatural season finale was the reappearance of mysterious reaper Billie, who arrived just in time to help save the day by rounding up souls from the veil to make the Winchesters an Amara-destroying bomb. 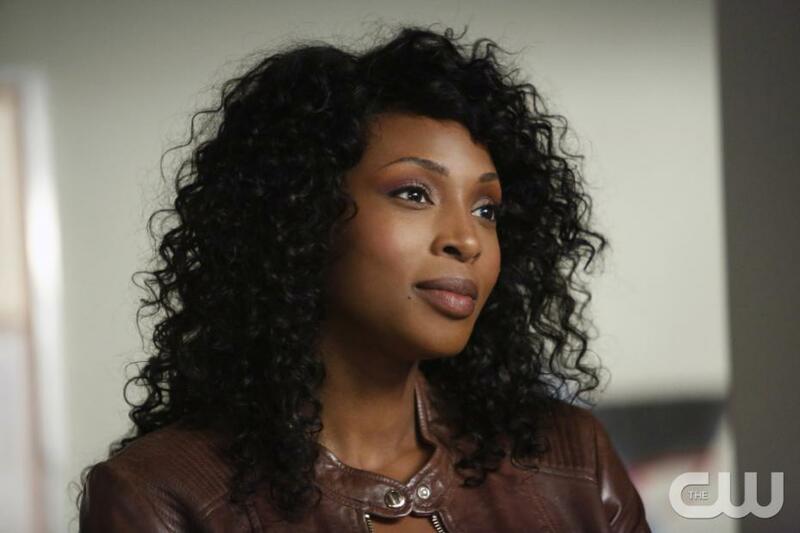 I tweeted right afterwards a congrats to actress Lisa Berry, because somehow Billie always manages to have the very BEST entrances. 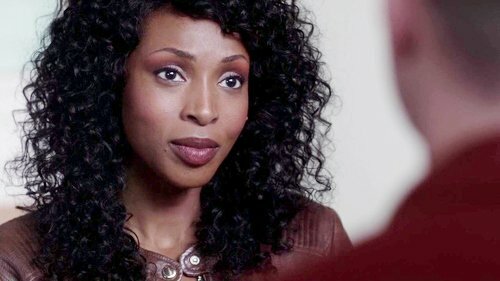 I had the pleasure of chatting with Lisa about her work on Supernatural and acting with the SPN gang. Lynn: You’ve said that you were a fan of Supernatural before you were cast (which makes your casting some kind of dream come true!) When did you discover the Show and what do you think drew you to it? Lisa: Well, I started watching it when it first aired. I mean, it was a show starring two guys I already loved watching, now they were teaming up to do one about Supernatural stuff! I was so in. Lynn: Understandable. 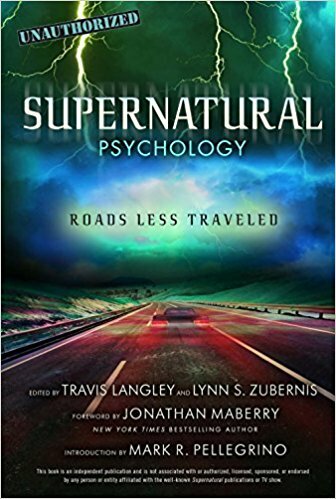 We’ve written several books about being a fangirl — two of them specifically about being a Supernatural fangirl. So do you consider yourself a fangirl? Lisa: I watched Jared on Gilmore Girls and Jensen on Days of Our Lives so considering I’ve been watching those boys for almost twenty years, I think I qualify as a fangirl… haha. Lynn: Agreed! You have me beat, in fact. Lisa: I was hooked on Supernatural from the moment it came out! I think if you’ve seen each episode more than once, you’re a fangirl. Getting to work with Jared and Jensen after being a fan of the show for so long, is a real joy and dream come true. Lynn: I’ll say! Many of the guest actors we’ve interviewed have talked about their trepidation in coming onto a new set and working with actors and crew who are strangers to them – but who are all quite close after working together for more than a decade. Were you nervous that first day, and how did the first day go? Lisa: Of course I was nervous! Hell, I still get nervous when I show up to set, I mean, who wouldn’t be? And believe me when I say I gave myself a proper pep talk before heading to set — I can do this. I can do this. I can do this…(laughing). But everyone — and I mean everyone — is so kind and friendly and that makes for the best working conditions. My nerves melted away pretty quick. I have a lot of fun working with everyone and it just keeps getting better. Lynn: I’ve been lucky enough to be on the SPN set a few times, so I’ve seen firsthand the interesting combination of everyone working hard and like a well oiled machine, and the boys’ ability to be totally goofing off one second and then snapping into character the next. Did you experience that and did it surprise you? Lisa: I assumed that for a show to last as long as Supernatural has, that there had to be some joking around on set and there was — they know how to have fun and keep the energy light but I don’t partake, my focus isn’t as good as theirs. But they did crack me up a few times! Lisa: Thank you. Thank you. Thank you. I’m not a “singer” per se but I do enjoy it. And you know, when they asked me to sing I was like – OMG, I’d love to! Then they told me what song they wanted me to sing and my heart jumped into my throat and I immediately went looking for a singing teacher for help. I watch the show, I know that isn’t just any song and I loved Jen Titus’s cover, that I just wanted to do my best, so with the help of Mark Sheild at Mark’s Vocal School in Vancouver and my mother’s age old advice of, sing from the heart, I gave it my best shot. Lynn: Well, your best shot came off spectacularly! And you do have the very best entrances. 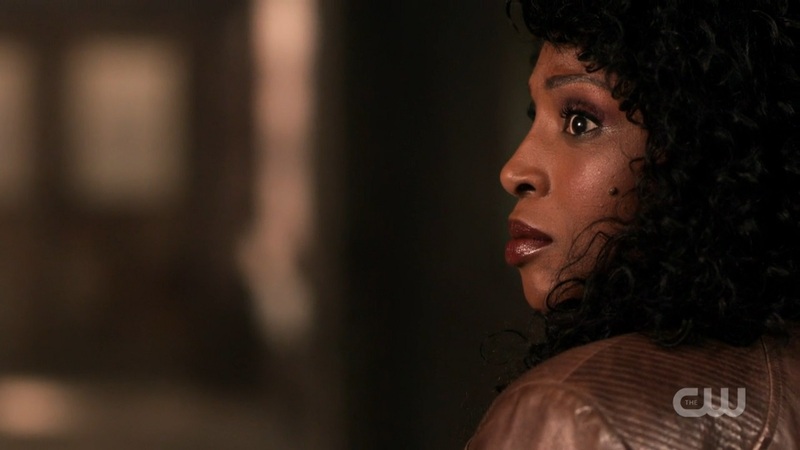 What has been your favorite scene to film on SPN so far and why? Lisa: My entrance on the show would have to be my favourite, because I got to sing, something I rarely get to do. I felt really honoured to be asked to be a part of the show, so my first episode and my first scene will always have a special place in my heart. 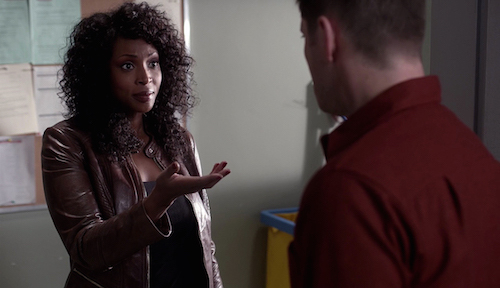 Lynn: And what has been the most challenging scene to film on SPN and why? Lisa: I gotta say, my first episode wins again! (laughing) As I said, I rarely get to sing in my career, and singing around the house or in the shower doesn’t really count as practicing, does it?! Lynn: For something like this? I guess not! Lisa: So I was challenged to get back in shape vocally and on top of that I was in a scene alongside one of my favourite actors… No pressure. Lynn: Oh no, no pressure. (laughing). But you did it! Billie is an interesting character, straddling the line between ‘bad guy’ and something else, much like Death himself in this show. As I said, you manage to make her menacing and scary but also very appealing, perhaps especially to female fans who admire her badassery. Do you actively try to portray her as threatening while at the same time aware that the fandom likes and appreciates the character? Is that a complicated line to walk? Lisa: Wow. I love that you hear that, thank you. When I’m working on a scene I focus on what I want and what’s standing in the way of me getting it. Once that’s clear to me, I work with my scene partner trying different ways to achieve my goal. I’m glad the fans are liking what I’m doing but I’m more focused on keeping her intention clear and there’s nothing like fighting for what you want that makes a character come to life. Lynn: That makes sense – maybe that’s what I’m sensing, that has made her such an impactful character right from the start. So you have had scenes with Jared and Jensen, who are somewhat attractive. I feel like I would be distracted by that at times, despite my professionalism. *ahem* Discuss. Lisa: Well, actually being on the set and being a part of something I love so much is what’s distracting, also with the joking around I would lose my lines if I really joined in. I’m not good at that stuff. Love to watch it when it happens to others, though…(laughing). Lisa: Jensen’s face is very nice to look at, but I can handle that. It’s a tough job but somebody has got to do it. Lynn: Bless you, Lisa, for taking one for the team. You know, I think you’d be a big hit at the SPN cons. And at karaoke and the Saturday Night Special concerts! Have you reached out to inquire about that? Lisa: Thank you, that’s very kind of you to say and yes karaoke would be a lot of fun. As for the conventions, time will tell if that’s something I’m meant to do, but I’d love to meet the fans. Lisa: I’m still so new to it all, but it’s been great, everyone is so incredibly lovely, caring and supportive. The show attracts a really beautiful group of souls. What surprised me most was how much interaction there is and how open people are about sharing their lives. It’s like we have the show in common, but that’s just the start. There are so many ways that I relate to the SPN family. It’s a real community, more than any other show I have been a part. Lynn: It is. It’s unprecedented, and I’m grateful every day that this is the Show I fell head over heels for! You had a pivotal role in the season finale too. Anything you can tease about why Billie didn’t speak to God, or whether she was flirting with Crowley? 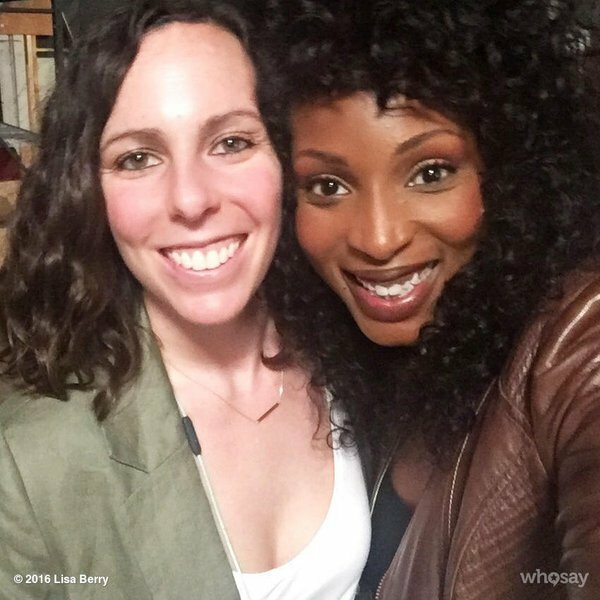 Lisa: I had so much fun working in the finale. [But] I have ZERO info, they keep a tight lip on plot details (laughing). This has been an amazing season and I feel so blessed to be a part of it. Lynn: I love that Billie walked away to appear again! Lynn: Thanks for taking the time to chat. I can’t wait to see what Season 12 brings for Billie. Lisa: Thank you for taking the time to talk to me. I love being a part of the Supernatural family and thank you for welcoming me with open arms and so much love. So what do you think, fandom? Who IS Billie the reaper, really? 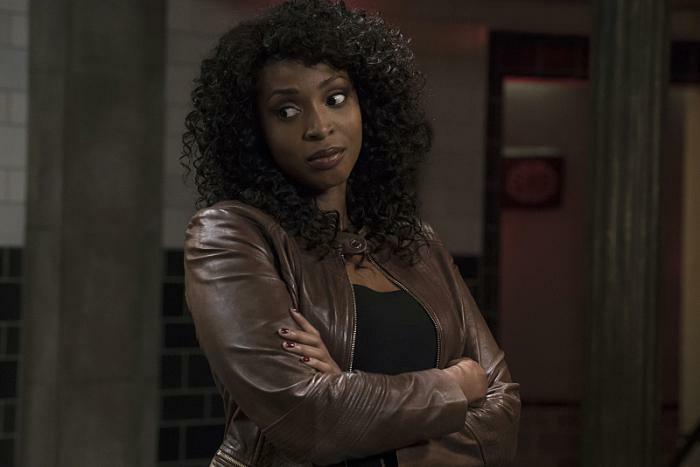 What is her relationship with Crowley? How afraid are you that she’s so determined to reap Sam and Dean the very next time they end up dead? Stay tuned for more, including lots and lots of Jibcon, part 2 of our interview with Curtis Armstrong, and exclusive interviews with Kim Rhodes, Briana Buckmaster, Rob Benedict, Tyler Johnston and Nicki Aycox! Fangirls’ on amazon – links on this page! I’d so love to hear her sing with Jensen and Rob and everybody. 🙂 Fantastic finale! !